← Who knew that science could be so fun? DDHS seniors Meghan Smith, daughter of Dean and Paula Smith, and Julia Medema, daughter of Diana Burgstede and Steve Medema, have been selected as the Delavan Rotary Club students for the month of May. Meghan is active in band, choir, color guard, musicals, plays, and forensics. She is the FBLA (Future Business Leaders of America) president and participates in golf and art club. 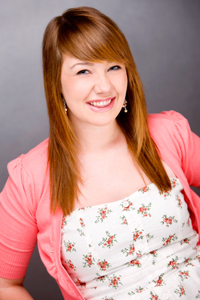 Meghan is also on the 2012 graduation committee. She is a member of the National Honor Society. Meghan volunteers with the SHARE program, at Darien Cornfest, and for the DDHS Booster club food booth at the Walworth County Fair. After high school, Meghan is attending UW-Madison to study broadcast journalism. Julia participates in Acapella, Chamber and Lydian choirs. She is on the Pom/Dance team and is a member of Bridge the Gap. She is also a member of the National Honor Society. 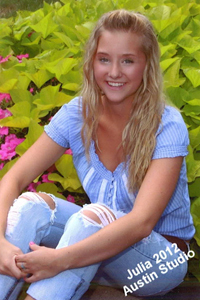 Julia volunteers by visiting Willowfield Nursing Home, is a dance teacher for the Darien Cornfest Pageant and volunteers with the DDHS Booster Club food booth at the Walworth County Fair. Julia is also a teacher’s assistant at Turtle Creek Elementary School. After high school, Julia is attending UW-Madison to study science. As recipients of this award, Meghan and Julia were escorted by an administrator at DDHS, to the Rotary Club luncheon at Lake Lawn Lodge on Monday, May 21, 2012. Congratulations to Meghan and Julia on receiving this prestigious award. This entry was posted in Delavan-Darien High School, News Releases. Bookmark the permalink.